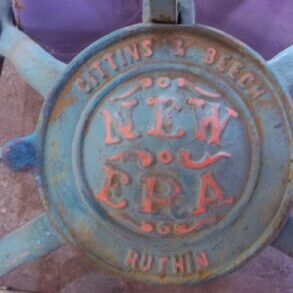 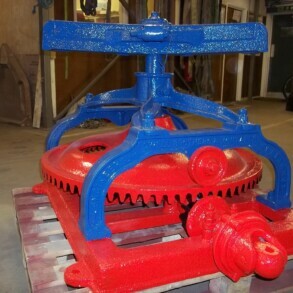 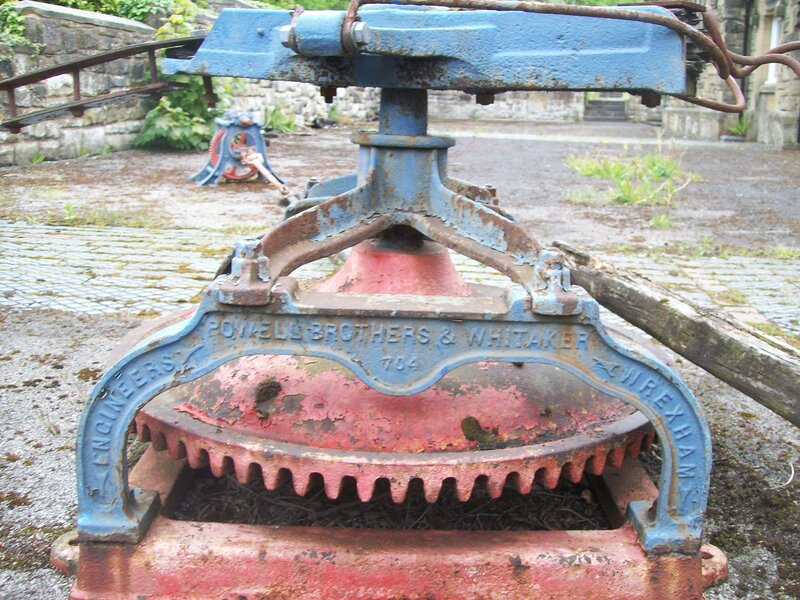 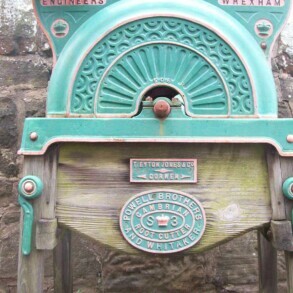 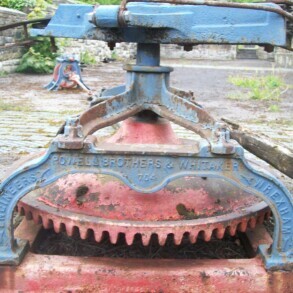 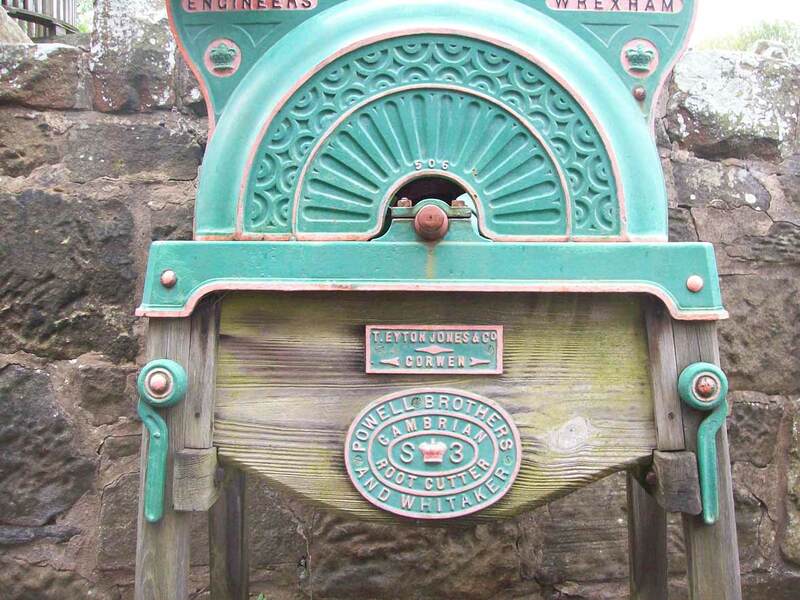 The Powell Brothers Cambrian Iron Works was based in Wrexham from 1876 - 1927, producing a great variety of agricultural machinery and implements. 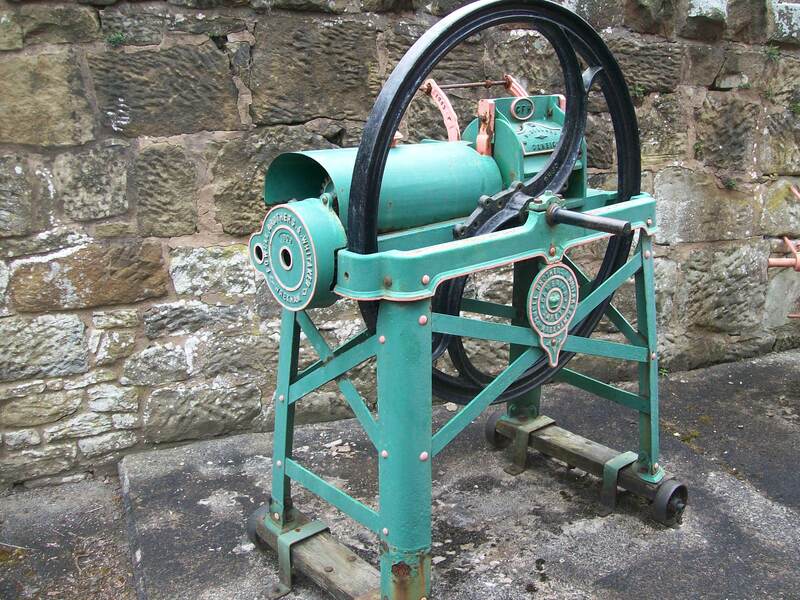 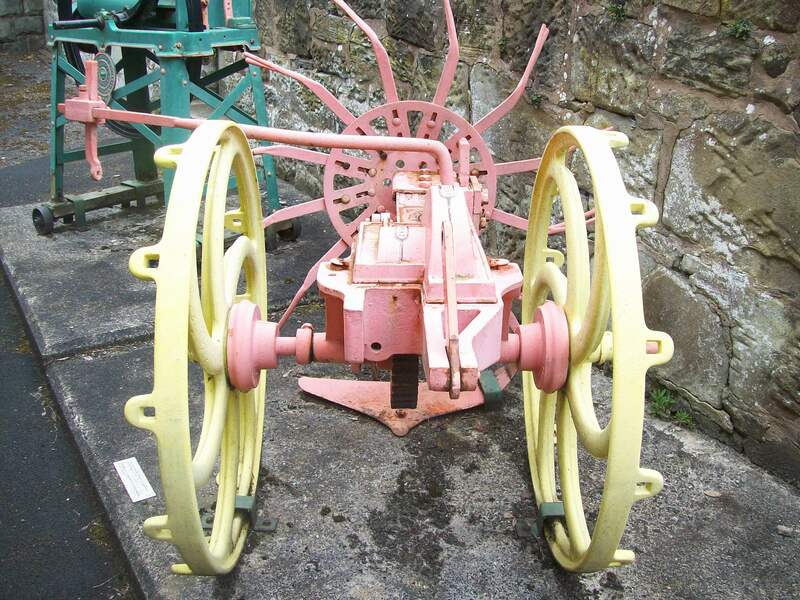 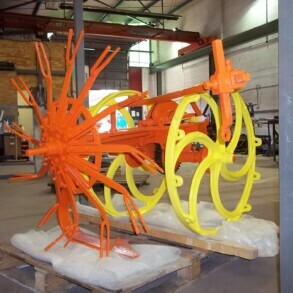 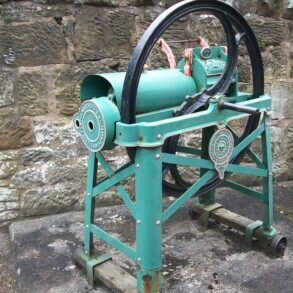 Obviously of historic importance to the town of Wrexham the museum has a collection of agricultural machinery cast by the Cambrian works which has been on outside display at the museum. 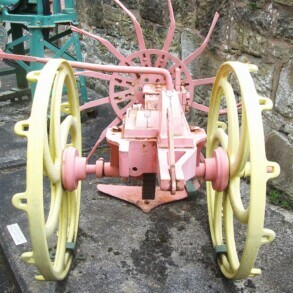 Over the years whilst in use at farms a range of paints had been used to protect or even cover over rust and the museum wanted to keep the bright tones. 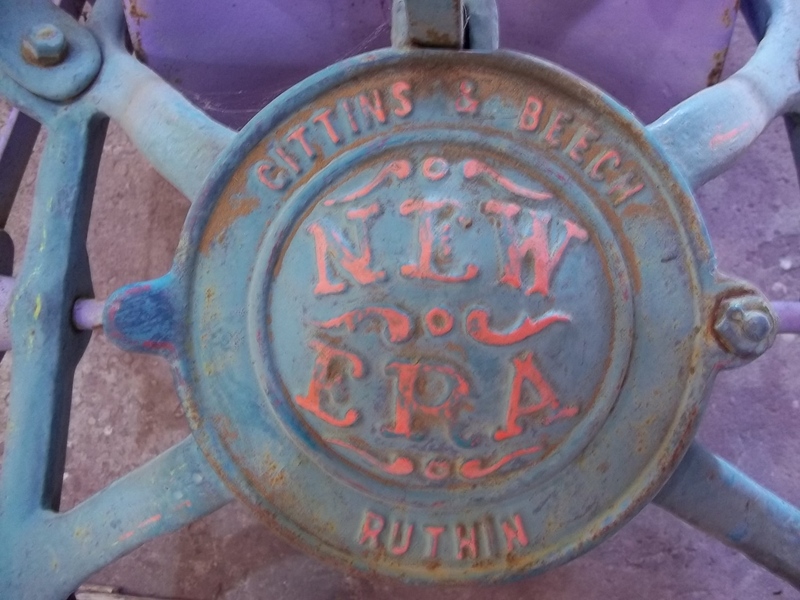 Eura Conservation were asked to undertake a range of cleaning with minimal refurbishment of rotted wood in order to make these items once more an attractive courtyard display. 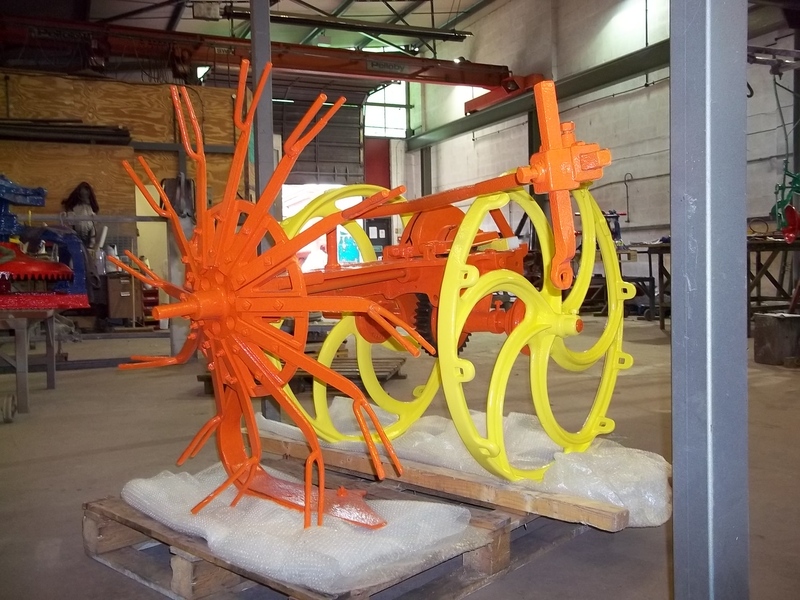 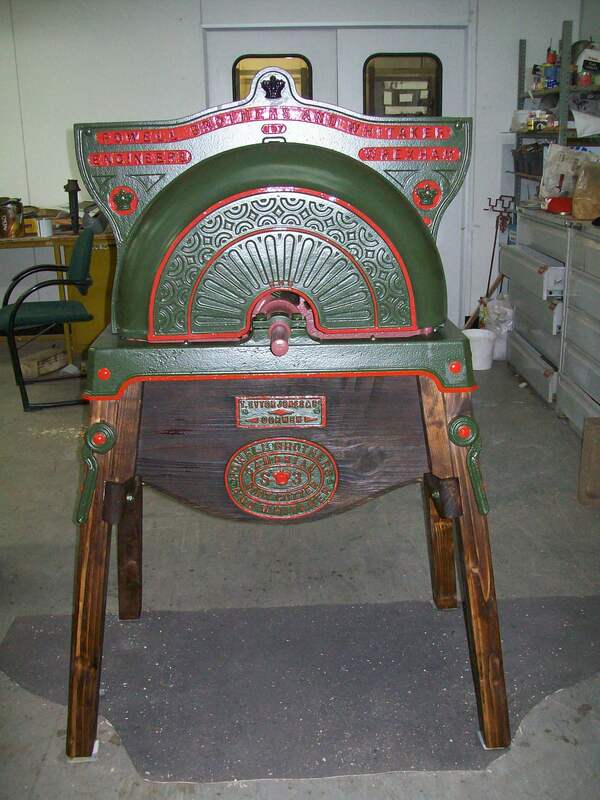 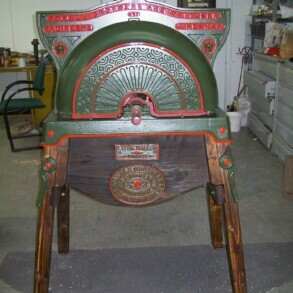 Wrexham Museum wanted their collection of Powell Brothers agricultual implements conserved and displayed in a way that reflected their history and respected their heritage. 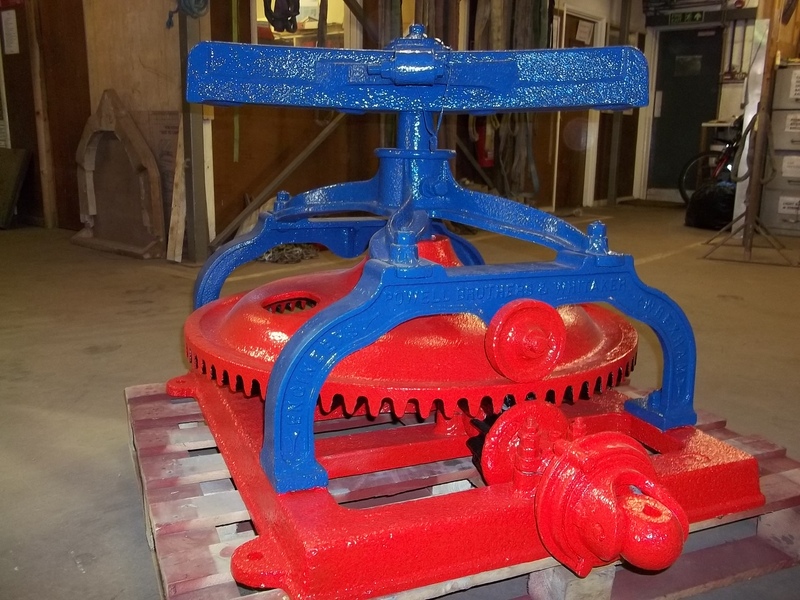 Eura Conservation were able, with minimal intrusion into the original castings, make moving parts safe for little fingers and preserve these artefacts for the future.